Can i buy Tata Steel on monday or is it still a sell? what about Muthoot Finance for monday? Is infibeam good to buy at cmp? Hi sir, what about usd vs inr. I purchased 11 jan 69.5 put @ 0.16 paise . 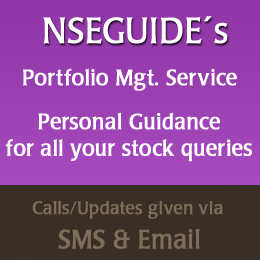 Sir I had bought Mindtree future Jan at 860. Now should I exit or it ll reach up ?? View on Ambuja cement n concor also . I am carrying Nifty 11100 ce . At 50 . What can expect on Monday ?? Thanks . hi sir G!! what is target for tata steel in jan expiry? How much money I need using Zerodha account for Option & Future (Both) as per your subscription calls. Hi Pawan, its a hold for now. can test 68.70. Hi QURESHI, yes, can enter it. does look strong. Do you see Reliance going up on monday? how about selling HCL Technologies? Hi seema, yes, seems may open gap up. ril can test 1120. hcl tech can sell below 925. Thank you very much...actually i was planning to sell HCL TEC for intraday around 940 with stop 945....is it fine? or should i wait for 925 break? Should bye sbi on monday? Hi CB Sir, Intraday tgt on india cement ? Hi seema, most welcome. lets wait. near strong support levels.